In its first major tax reform in over 30 years, the United States is considering a package of tax changes that if passed into law, could significantly impact Canada’s ability to keep top talent and business ventures from moving across the border. For low-income earners the standard deduction will increase from $6350 to $12,000 (slightly more than Canada’s current basic personal amount of $11, 635). For those filing jointly, the amount would rise from $12,700 to $24,000. Above the standard deduction, the number of tax rates will be reduced from 7 to 4 ranging from: 12 percent (on incomes up to $45,000), to 25 percent (incomes between $45,001 to $200,000) and 35 percent (incomes between $200,001 to $500,000). A high rate of 39.6 percent will be applied to incomes above $500,000. The bracket amounts double for joint filers. It’s at income levels between $142,354 and $202,800 that American taxpayers have the most favorable tax rates, saving 4% over Canadian rates. The next most advantageous tax rates occur on incomes up to $45,000, where Americans would save 3% over Canadian rates. A new Family Credit would enhance the current Child Tax Credit, increasing it from $1,000 to $1,600. In addition, a $300 credit will be provided to each parent and adult dependant. The Estate Tax exemption would double immediately; and be repealed entirely after six years. The corporate tax rate would be reduced to 20 percent from 35 percent. The tax rate for active small business income would be 25 percent. For small businesses, a rate of 9 percent for incomes under $75,000 is proposed, with the rate phasing out as incomes exceed $150,000 with a full phase out at $225,000 of income. It’s interesting to note that Canada’s small business tax rate is proposed to drop to 9% by 2019 – a hasty announcement made last month by Finance Minister Morneau, who has been under attack for trying to substantively change the landscape for business owners with exorbitant taxes on family members who don’t meet “reasonableness” tests and passive investment income in the corporation. Business could immediately write off the full cost of new equipment. It would become easier for American business to repatriate foreign earnings; incentives to move overseas would be eliminated. Mortgage interest rate deductibility will continue, but only for existing mortgages and on the cost of newly acquired homes up to $500,000. The Alternative Minimum Tax would be repealed. Combined with the recent tax proposals, which are going in the opposite direction, and new CPP tax hikes on the horizon, it could be a very bumpy road ahead for Canadian business and their government, and by extension, the taxpayers who work for them. Evelyn Jacks is Founder and President of Knowledge Bureau and author of 52 books on tax preparation, planning and family wealth management. Follow her @evelynjacks. Additional Educational Resources: CE Summits, November 21 in Winnipeg, November 22 in Calgary, November 23 in Vancouver and November 28 in Toronto, and Cross Border Taxation Course. ©2017 Knowledge Bureau Inc. All Rights Reserved. This week brought more controversial tax news to Canadians: the Paradise Papers and a new tax “consultation”; this time in advance of the 2018 Federal budget. The elephant in the room in both these stories is the unfinished “consultation” on the massive tax changes proposed for private businesses. Small business owners are still reeling from the potentially exorbitant tax hikes on the incomes from their invested capital in private corporations within Canada, even as they hear about potential tax erosion from the Paradise Papers story. It appears that CRA is unable to tap into the “tax gap” left from the movement of assets offshore by prominent, wealthy Canadians, according to CBC reports. “You have the right to receive entitlements and to pay no more and no less than what is required by law.” To make sure that all taxpayers pay only the correct amount of tax, the law must be simple and transparent and from a compliance point of view, it cannot be applied retroactively and punitively for people who don’t understand their rights. For small business, the Taxpayer’s Bill of Rights says this: “CRA is committed to administering the tax system in a way that minimizes the costs of compliance for small businesses.” This makes a compelling case for dropping the onerous “reasonableness tests” and the mind-numbing complexity proposed for the tracking of sources of capital used for passive investments in private corporations. In other words, there must be reciprocity in a self assessment system: if taxpayers must bear the burden of proof, there must be an equal obligation for the tax department to ensure all efforts are made to help Canadians mitigate their tax costs by communicating in a simple, understandable and effective manner what the law is, how people can comply with it and several appeal rights that allow people to get it right. International tax law is very complex. It’s difficult for taxpayers and CRA alike to understand. While CRA needs to enforce the obligations people have when they move their assets offshore; these taxpayers also have taxpayer rights. Those who try to comply with the law are not tax cheats, if they took all steps to ensure they met their obligations to Canada are met. If you are a resident in Canada at any time of the year you must file a tax return in Canada and report world income in Canadian dollars. This includes the income from offshore trusts and pensions. You must also declare on Form T1135, the cost of certain foreign assets over $100,000. Residents of Canada can be actual, factual or deemed. Certain deemed residents qualify for special tax credits in Canada. Therefore, you can still be tied to your tax obligations in Canada even if you or your money resides offshore. Canadian residents who hold foreign investment properties or who transfer or loan money to offshore trusts will be subject to Canadian taxation and complex annual reporting rules. Those who immigrate or emigrate are considered to be part-year residents of Canada, but may still have reporting obligations in Canada. Upon emigration from Canada, departure taxes must be paid on accrued gains on many assets held at that time. Professional help should be sought to understand which assets require reporting, how capital losses are identified and scheduled and what obligations may arise in both countries, if any, after departure. For example, those who are non-residents may still be required to file a tax return in Canada if they earn employment or self-employment income in Canada or sell taxable Canadian property. Taxes paid in other countries on the same world income reported in Canada will be the subject of a foreign tax credit to provide tax relief from double taxation. In other cases, tax treaties will provide relief. Most Canadians pay their taxes willingly and on time. It’s possible that the Paradise Papers story underscores just what happens when the fundamental principles of an effective tax regime – fairness, equity, simplicity and compliance – break down: people with means leave the country with their assets and their income, leaving burdensome tax obligations on lower income earners. That’s the real tax gap we have to fix. Knowledge Bureau’s EverGreen Explanatory Notes and Cross Border Taxation course provide detailed information on the rules and implications of holding offshore assets. However, taxpayers who are in doubt about their compliance requirements when assets are held offshore should immediately seek advice from a qualified tax specialist and correct their situation before CRA comes knocking. 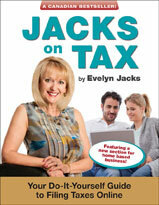 Evelyn Jacks is President of Knowledge Bureau, Canada’s leading educator in the tax and financial services, and author of 52 books on family tax preparation and planning. Which Employee Benefits Are Taxable? A couple of weeks ago, the financial news of the day involved a controversy about the taxation of employee benefits. CRA was enforcing its interpretation of the law in relation to the taxation of the benefit of receiving employee discounts at work. After a political outcry, CRA backed down, leaving several question marks. That’s regrettable because tax law must be certain – up front – in order for employers to properly fill out T4 slips and communicate the net after-tax value of employee remuneration. It’s not possible to try to anticipate how CRA is going to interpret a law afterwards, and it’s unfair for employees to face unintended consequences in an audit many years later. $500 or more for birthdays, anniversaries. Annual $1000 total. * If these amounts include GST/HST, employees who are allowed to claim employment expenses may be able to claim a rebate on Line 457 by filing form GST370. If you receive this rebate, claim it as income in the following tax year on Line 104. Evelyn Jacks is Founder and President of Knowledge Bureau and author of 52 books on the subject of tax planning, preparation and family wealth management. Author Evelyn JacksPosted on November 1, 2017 November 1, 2017 Categories Income TaxLeave a comment on Which Employee Benefits Are Taxable?